As a new seller on Amazon, it’s often a struggle to get your products noticed and make enough sales to make your business viable. There are a few ways for a new seller to get their products noticed and, one such way is the ever popular discount site. Amazon discount sites are websites which have been set up specifically for Amazon sellers to showcase their products, boost their sales and gain those all important reviews. Most of these sites are free to join for sellers and they work by allowing sellers to post product offers which are then picked up by customers browsing the site. As with anything internet-related, there are a few unscrupulous sites out there so, here, we list the best safe sites for Amazon sellers. Cashbackbase is a discount site for Amazon customers and sellers. The site invites sellers to upload deals which will save customers’ money and will help to raise the seller’s profile. Pros: No minimum or maximum product limits. Cons: Sellers are charged a commission per order. US only. Currently one of the largest Amazon discount sites, Vipon is a coupon-based website which connects hundreds of Amazon sellers with their target audience. 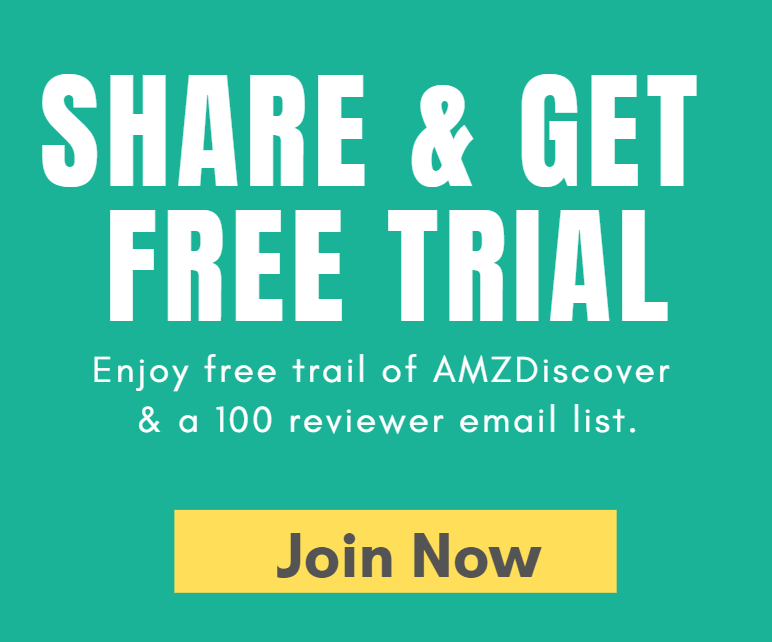 This connection helps Amazon sellers, particularly those new to the industry, to connect with new buyers and to gain reviews and improve their ranking by offering their great products at a radically discounted price. Vipon is popular with sellers due to the fact that it boasts millions of customer visits every month. Pros: Millions of site visits monthly. Packages start at an affordable $29.99. Available for territories worldwide. Cons: Promotions must offer at least 50% discount. Packages are not automatically renewed monthly. Jumpsend is an Amazon buying and selling site which promises to increase organic ranking through seller promotions and email marketing campaigns. As well as the opportunity to upload product offers, Jumpsend offers a whole host of features including seller tools such as podcasts, webinars and ebooks to help improve performance. Pros: Increase your ranking as well as gaining reviews through the site. Free resources including help with keywords. Free webinars and training materials. Cons: A little more expensive than others, with packages starting from $59.99. Only available for the USA and the UK. Snagshout is all about the influencers and uses the power of media and social media to help promote its brands. Connecting thousands of shoppers with brands every day, Snagshout prides itself on being a champion of the Amazon seller and has been featured in a number of high profile publications such as CNN, The Chicago Tribune and World Report. Pros: Easy to sign up. No minimum or maximum product offers. Cons: Only available for Amazon USA. Images are only permitted when purchasing the Advance Package for $499.99 per month. Coupon based Amazon review site based in California. Dealgogogo is a vast site featuring products of every possible genre. The site works by accessing a free chrome extension which customers use to access discount coupons for desired products. The extension means that the shoppers don’t have to leave Amazon’s site in order to bag the discounts from Dealgogogo. This is of huge benefit to sellers who understand the benefits of attracting shoppers to a page – and keeping them there! Pros: Large amount of products. Easy to sign up. Chrome extension means that shoppers have no need to leave Amazon’s site. Cons: Inaccurate searches. Only available for Amazon USA. Simple but effective, Product Testing Group allows sellers to sign up as members and then to post their product offers onto the site to attract customers. Sellers can increase their profile and traffic by offering free or heavily discounted products to testers and reviewers. Free to join for both sellers and customers, this is a great place to start for the new Amazon seller. Pros: No minimum or maximum restrictions on offers for sellers. 100% free for sellers. Cons: Currently only available in USA. Reports that customer data is sold resulting in nuisance calls. VIP Power Club is, first and foremost, a review site as well as a customer discount site. The site invites sellers who are willing to discount their products hugely (often 90 – 100%) to upload product offers in return for customer reviews. If there’s one thing that Amazon customers love, it’s a bargain – and this site attracts thousands of Amazon customers willing to test and review products in exchange for heavily discounted products. For sellers, this is a great way of getting a lot of reviews in a short time in order to increase ranking and profile. Recent offers include a cake decorating kit, which retails at $17, being offered or free in return for reviews. Pros: Offers are sent to customers’ inboxes, increasing awareness without customers having to first visit the site. Sellers can gain a large number of reviews quickly. Cons: Sellers have to offer huge discounts in order to stand out. Customer account may be suspended if they fail to leave a review within 10 days. Ireview Home is a discount site which is controlled by sellers. Sellers post product offers and are then able to cherry pick reviewers based on previous reviews. Sellers can also hide product offers from certain customer sets and can cancel product offers at any time as well as setting time limits for deals. Pros: Quality reviews. Free merchant account. Control over reviewers. Easy to use. Worldwide availability. Cons: Only available to Professional level members of IReviewHome Tracker. AMZRC aims to offer superior product at discounted prices through its member sellers. Unfortunately only available for customers and sellers in the USA, this site is simple, straight-forward, free to buyers and, relatively inexpensive for sellers. Pros: A low 1.69% commision per transaction. Easy to use. Cons: Only available in the USA. Casting itself as an exclusive and private club, Uberzon is, nonetheless, a buying and selling group for Amazon customers and sellers. Free to use for both buyers and sellers, Uberzon offers quality products with discounts of up to 85%. Sellers can connect with responsive buyers who, in turn, leave reviews and social media reviews in return for a bargain. Once signed up, members receive daily deals by email. Pros: Deals are emailed to customers meaning they don’t have to actively visit the site. Cons: Unfortunately there is no information at all on the site for sellers. Potential sellers need to email Uberzonclub for information and generally do not receive a reply for days. For the Amazon seller, posting product offers on these sites is a great way of getting your product notice, tested and reviewed – leading to improved sales, ranking and profile. As some of these sites charge commission, make sure you’ve done your sums first to ensure you’re not losing too much cash by posting offers.